Are Time Travelers Among Us? Ever since H. G. Wells excited the imagination of millions with his 1895 novel "The Time Machine," the concept of time travel has fascinated science-fiction writers. Within the last century, intricate and complex plots have been developed as writers carefully thought out the many complex problems that might be linked to someone projecting himself either back or forward in time. They wondered what would happen if, for example, a time traveler met himself, or went into the past and altered a single event that had a major impact on the future. Those who recall the popular Hollywood film series "Back to the Future" might understand just how complex those time travel plots can get. I thus offer an interesting theory. What if time travel has been around for thousands of years,? If so, perhaps it hasn't been done the way H. G. Wells or the Hollywood film makers envisioned. Suppose people accomplish it by leaving their bodies, going into the astral or spirit world, and then visiting what has been identified as the Sixth Plane where a library of laws exists. This is something that people who study such things have been discovering. It is possible for us to leave the body at will and there appears to be an amazing astral world on the other side that remains open for exploration. As far as we know, it is our home . . . where each of us originated before we climbed into these three-dimensional bodies to spend some time on this planet. This library we speak of is a complex place where all of the laws of the Universe are found. These include such information as time, truth, motion, thought, wisdom, cause and effect, sacred geometry, mathematics, science and physics. All events from the past and apparently the future also are on record. Suppose that many creative writers, artists, inventors and psychics have found their way into this amazing library and learned to tap into its resources to impact the course of history. The contemporary writer Mary Summer Rain paints a wonderful description of this kind of traveling in the "astral" in her books. They tell of the writer's discussions with a Potawatami woman named No Eyes, who was physically blind, but an amazing psychic visionary. She taught Rain to follow her in fascinating out of the body visits to a spiritual world that few people know exists. We suggest that the great prophets of the Old Testament, and magicians like Jesus, Nostradamus, Edgar Cayce and Aleister Crowley were among those who knew the secret of astral travel. H.G. Wells also may have had this gift because his books, all written after "The Time Machine," accurately predicted aircraft, aerial warfare, super highways, television, radio, overpopulation and the atomic bomb, years before they were invented. The great inventor Nikolai Tesla may also have tapped into the Sixth Plane to uncover the information he needed to accomplish what he did. This man changed our lives with the inventions of alternating electrical current, the electrical transformer, the hydroelectric generator, radio, x-rays, vacuum tubes, fluorescent lights, microwaves, radar, the rotary engine and the loud speaker to name a few. He even claimed to have conceived of a way to transmit energy through the air, without the use of wires, and he said he could build a "death ray" machine that could knock aircraft out of the sky. For political and financial reasons, he was never allowed to build either device. Suppose Tesla also found a way to project himself physically forward through time, much as some believe happened to sailors on the destroyer Eldridge during the infamous Philadelphia Experiment. You may be interested in knowing that Tesla had a hand in that experiment too. By traveling forward in time, Tesla could examine the electronic things in use, then return to his own time and duplicate it. If this is what happened, Tesla was an anomaly within the time continuum. By stealing the information from the future, Tesla became the inventor. If this is what happened, like the movie characters, he traveled "back to the future." The late Robert Monroe, who founded the Monroe Institute in Faber, Virginia, started the school because he wanted to study the phenomenon of leaving the body. His interest was personal. Monroe was having trouble staying in his body. When he would do a simple thing like lie down for a nap, he often found himself floating around on the ceiling, looking down on himself asleep on the bed. Monroe, who wrote books about his experiences, discovered how to travel around in the "other world" that exists outside of our bodies. He described a spiritual world, filled with a variety of life forms, including the so-called aliens who most people believe travel here from outer space. That does not appear to be true. Like we who visit their world, they come from other dimensions, make brief visits and then go back again. Monroe apparently did not do much time traveling. His books, however, help support the fact that people do leave their bodies and enter another world where time travel may indeed be possible. The Monroe Institute now teaches that people who leave their bodies can go to various levels of collective consciousness, where people go after they die. Each level is identified by a number. I believe it is level 15 where you can go either right or left, and travel either backward or forward in time. I have an acquaintance that studied at the institute, and became skilled at moving around on level 15. Maj. Ed Dames who taught remote viewing, or looking at things through right brain functioning, and Engo Swann, a psychic who invented the concept, have given us yet another way to possibly gaze through time. Remote viewing is not an easy thing to learn. It takes hours and hours of practice, usually with a partner. It involves repetitious actions that cause the right part of the brain, which handles most of our daily cognitive activities, to shut down. When that happens, the creative left side of our brain takes over. It is theorized that it is through left brain functioning that the remote viewer gets information. Remote viewing requires discipline to master but the rewards can sometimes be high. People who have successfully mastered remote viewing have allegedly used the technique to find lost treasure, search for lost people, and investigate unsolved mysteries. There are only a very few of these people in existence. Some years ago, after getting my hands on a set of tapes produced at the Monroe Institute I also learned how to leave my body. I have visited the astral, and met some of the life forms there. Thus I report this technique from personal experience. Some of the beings I have met in this strange world of spirits warn of something terrible looming in our future. It appears to be an urgent message because it is usually the first thing I am told about when I meet an entity and open communications. We communicate in pictures because there is no common language and no sound in the astral. What I get from the entities is an image of fire and smoke. I think it is war, disease and famine that may kill a large segment of the Earth's population. But I also have reason to believe that some humans will survive. I am hopeful that these messages are merely warnings of what could be rather than pictures of real future events. Then there are the mysterious crop circles now being found in grain fields all around the world. The crop circles have a way of "appearing" in an instant in the center of a field. They often are intricate patterns best seen from the air. Some people, who have managed to secretly make imitations of the crop circles, claim they are the work of pranksters. Others believe they are made by aliens. Everybody is trying to find a secret message in them. I suspect the crop circles may be markers for time travelers from the future. 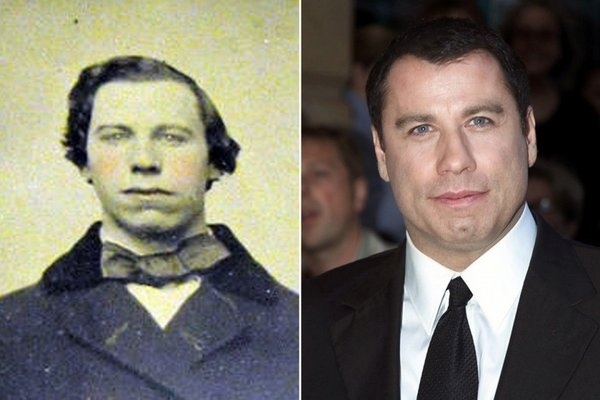 These are people who may even travel physically through time. They make these marks in such perishable places as wheat fields because the marks only remain fresh for a few days. After this, nature erases them. In this way, time travelers can find specific places in time and return to them as often as they wish. The fact that so many crop circles are being produced indicates that this is an interesting time for people of the future to visit. In one of his recent visits on Art Bell's radio show, Dames was asked by a caller about UFOs. He said he or his students have remote viewed them. Some of them appear to be alien craft, some are our own ships, and he believes some are time machines from the future. If he is right, it suggests that (1.) we are at a pivotal point in world history, and (2.) the human race survives. And this leads to the obvious question. Are we being manipulated by the people from the future so that we don't destroy the Earth and ourselves along with it? And if this is so, how did those people reach the future if we insist on blindly destroying ourselves? See what I mean about complex time travel plots?